Situated on the crowdline at the far eastern end of the showground, just 100 metres from the runway, you get a perfect view of the aircraft as they take off and display overhead. This really is an excellent way to enjoy the show in true British style! 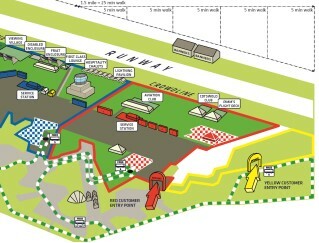 All services are situated at the rear of the enclosure to avoid obstructing your view of the flying display. Children aged 5 and over require a ticket for the Pimm's Flight Deck Enclosure, children under 5 are free as long as they do not occupy a seat or require an inclusive lunch. Access to the Pimm's Flight Deck is across grass, so those with restricted mobility should bear this in mind when booking. Please be aware that in the unlikely event that the wind direction changes, aircraft may have to take off and land from the other end of the runway. Our fantastic volunteers are here to ensure that you have a fantastic time at Pimm's Flight Deck if you have any concerns or questions please do ask! To compare the Pimm's Flight Deck with our other enclosures, please CLICK HERE. 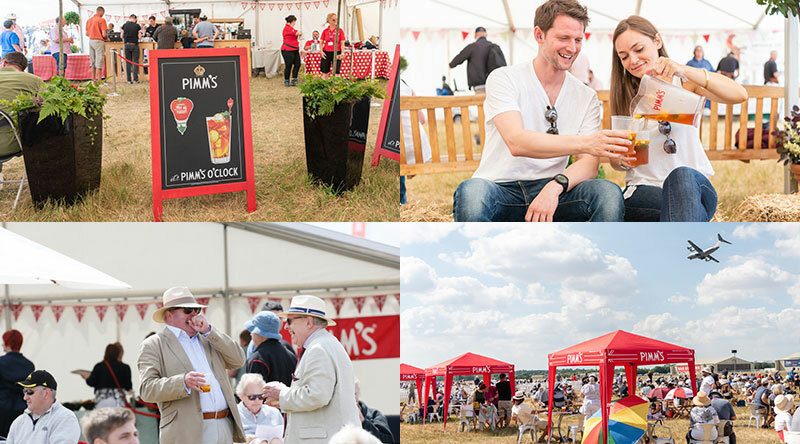 "Excellent gluten free choice for my wife in the Pimm's Enclosure (pre booked)"
"Everyone you spoke to or came across was cheerful and polite and helpful"
"It was very comfortable sat in the Pimm's Flight Deck"